The eggs (roe) produced from the trout are smaller in size than salmon eggs. With a mild sweet flavor from France, these golden pearls provide a mildly sweet flavor to various food dishes and appetizers and makes a perfect accent when used as a garnish, in soups, or in sauces. 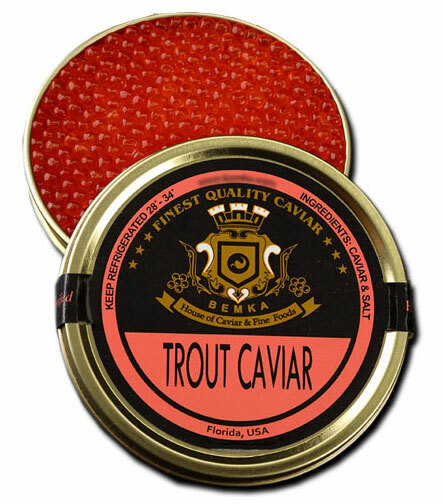 If Salmon Roe taste is too intense for you, our slightly smaller Trout Roe has a less intense flavor.